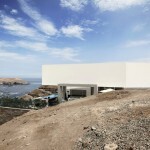 The project is located in one of the highest areas of the cliff that defines the topographical profile of the bay. 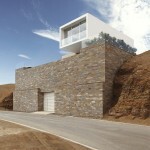 The terrain´s steep topography has two natural access points, from the front (lowest point) and back (highest point). 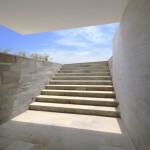 The highest point was chosen to access the house, where the parking area, main and service entrances were placed. 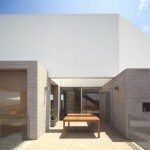 The entrance hall and social core of the house was designed half a floor below, in between the master bedroom area located on the top floor and the children bedrooms area located on the bottom floor. 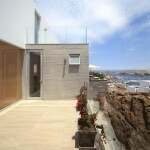 The master bedroom area hoovers over the bay while the children´s area open up to private and independent patios defined by the terrain´s rocky profile. 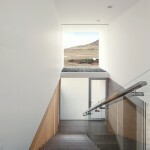 The house´s functional distribution allows parents, located on the top floor, and children, located on the bottom floor, to have absolute intimacy and independence if required while enjoying of the collective family life in the social area that is conceived not only as a meeting point but also as the element that articulates the project. 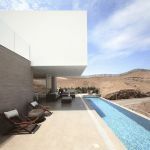 From the exterior, the house is perceived as a hermetic structure, while from the interior the perception is inversed, generously opening up to the various visuals of the surrounding environment. 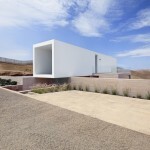 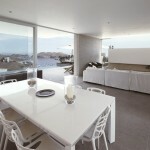 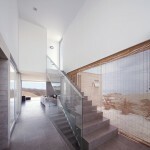 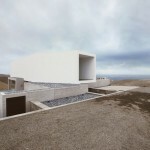 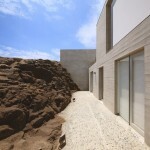 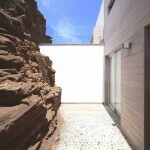 Project architects: Juan Carlos Domenack L. and Juan Carlos Domenack C.